Liverpool is the one of the largest cities in the UK. Its name conjures up images of a glorious maritime heritage, two of the biggest football teams in the Premier League, friendly locals, and the Beatles. Revitalised by a successful year as the European Capital of Culture it boasts a brilliant new shopping centre, fabulous hotels, more museums and galleries than any other city outside London, and a waterfront with UNESCO World Heritage Site status. Liverpool offers a broad range of accommodation options ranging from award-winning bed and breakfasts to stylish boutique hotels, in locations from the city centre to the heart of the countryside. The Hope Street Hotel is situated in the fashionable Georgian quarter and is the city’s flagship boutique hotel. It offers individually designed rooms with modern amenities such as flat screen TVs and unlimited high speed internet access. The hotel’s restaurant, The London Carriage Works, is widely regarded as one of the best in Liverpool. The Britannia Adelphi Hotel is Liverpool’s biggest hotel and enjoys a fantastic city centre location close to Lime Street train station. It was built in the early 20th century to serve wealthy cruise ship passengers departing from Liverpool. Today it offers some of the cheapest rates in the city centre. The Hard Day’s Night Hotel is the world’s only Beatles-themed hotel. The four star hotel offers individually designed rooms decorated with specially commissioned Fab Four artworks. It’s situated off Mathew Street, close to the legendary Cavern Club and Liverpool One. Chain hotels in the city include the Malmaison and Radisson Blu, both near Pier Head, and the Jurys Inn and Staybridge Suites at the Echo Arena. Liverpool offers a huge choice of museums and art galleries. Albert Dock is the city’s biggest attraction and is home to the Merseyside Maritime Museum and Tate Liverpool. Just north of the dock is Pier Head, best known for its magnificent trio of Edwardian buildings, but now also the site of the new Museum of Liverpool. Both the Albert Dock and Pier Head are part of Liverpool Maritime Mercantile City, one of the few UNESCO World Heritage Sites in the north of England. The Walker Art Gallery is another must see. The ‘National Gallery of the North’ boasts a wide variety of works ranging from Rembrandt to Hockney. It’s situated on William Brown Street in the city centre, home to many other public buildings including St George’s Hall, the World Museum, and Liverpool Central Library. The Metropolitan Cathedral is one of the country’s more unusual cathedrals. The modernist conical structure, affectionately known by locals as ‘Paddy’s Wigwam’ or the ‘Mersey Funnel’, lies half a mile to the north of the more traditional, but equally impressive, Liverpool Cathedral. Mention Liverpool and people immediately think of the Beatles. Each year thousands of tourists are drawn to the city by the legacy of the Fab Four. Fans can explore the history of the band at the Beatles Story museum at Albert Dock, tour the childhood homes of John Lennon and Paul McCartney, or watch live music at the Cavern Club on Mathew Street. Liverpool also has a strong footballing tradition and boasts two of the most famous Premier League football teams. Liverpool FC won their fifth Champions League title in 2005 while Everton have played more top-flight league games than any other team in the country. Both clubs offer stadium and museum tours. The city’s waterfront Echo Arena hosts concerts from the biggest names in music while the Philharmonic Hall hosts a variety of events including classical music concerts by its resident orchestra, the Royal Liverpool Philharmonic Orchestra. The Liverpool Empire is the place to see West End musicals, opera, ballet, pantomimes and more, while the Liverpool Playhouse offers great theatre from local and touring companies. The Odeon at Liverpool One is a multiplex cinema with 14 screens. The IMAX theatre is one of just a handful in North West England. Another cinema in the city centre is the Picturehouse at FACT, an independent cinema that shows art house and foreign language films. 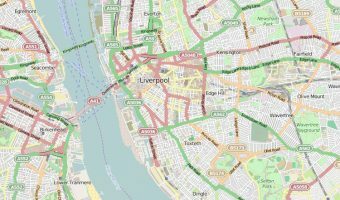 Liverpool boasts excellent transport links and infrastructure. Liverpool John Lennon Airport is just a short drive from the city centre and offers flights to around 80 destinations. Manchester Airport is also easily reached from the city. Lime Street is the main train station and enjoys a great location in the heart of the city. There are direct trains to London, Manchester, Birmingham, Leeds, and Sheffield. Destinations in Merseyside and beyond are served by the city’s own Merseyrail network.